A Procurement Management Process, or Procurement Process, is a method by which items are purchased from external suppliers. The procurement management process involves managing the ordering, receipt, review, and approval of items from suppliers. A procurement process also specifies how the supplier relationships will be managed, to ensure a high level of service is received. This is a critical task in Procurement Management. In essence, the procurement process helps you "get what you have paid for". You need to implement a Procurement Process any time you want to buy items from external suppliers. 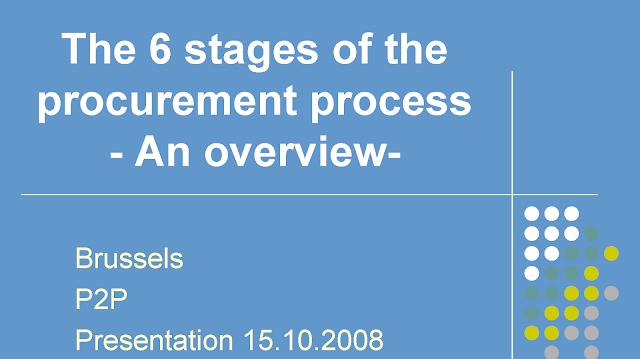 By using this Procurement Management Process, you can ensure that the items provided meet your need. It also helps you manage the supplier relationship, ensuring that any issues are resolved quickly. By implementing a Procurement Process, you can ensure you get the maximum value from your supplier relationship.